Peoria area modelers. We make and collect all sorts of airplanes ships, cars, sci-fi, armor, etc. We host a Make n' Take in the fall and have a month long model display at the downtown Peoria Public Library, usually in October. IPMS membership encouraged but not required. No dues at this time. 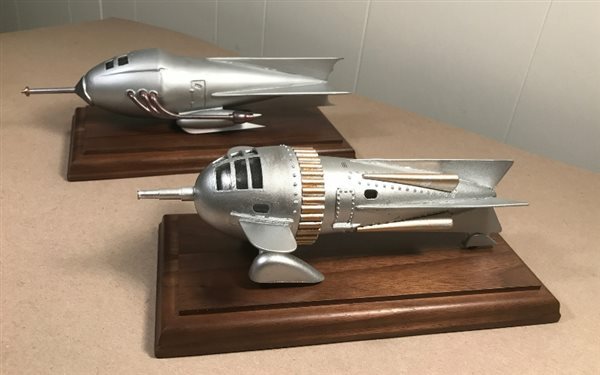 We enjoy talking about modeling history and amongst our small club, we have either built or collected more than 15,000 models. Please call or e-mail!! We meet at our members homes every Tuesday evening at 7 pm. Call or email for directions, we usually meet at Jack's house in Germantown Hills but sometimes at other members houses.